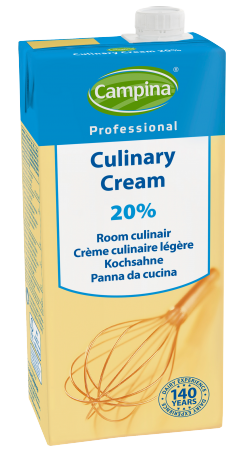 Culinary cream with a full and creamy taste, ideal for hot dishes. Campina Professional Culinary Cream has good binding characteristics, does not curdle and ingredients can be added easily. Refine your soups, sauces, meat and fish dishes with culinary cream.